Swiftkey has launched its latest version, 4.3, as a beta that you can now download to your many and varied Android devices. The update is intended to improve how you use your keyboard: you can choose between various layouts that you can then resize and move to any part of a device screen. 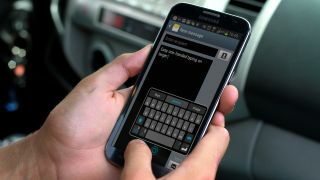 There are three presets: 'compact' for large-screened phones so you can type with one hand, 'full' for large screens when you have two hands available and 'thumb' that splits the keyboard into to thumbable halves. That means that you can choose a specialised layout for a specific situation, then switch back to a regular layout when you have more elbow-space. Cunningly calling it a beta means that you may encounter bugs and problems that you can report to Swiftkey and the team there can say, "Hey, it's a beta! What're you gonna do?" And hopefully also "Thanks" and "we'll get that fixed for the full software roll out, don't you worry about a thing." If you fancy giving it a go, you can now download the Layouts for Living beta from Swiftkey's beta website.